The AS0825 series power amplifiers from Milmega covers frequency range from 800 MHz to 2.5 GHz and the power range is from 18 Watts to 500 Watts. The amplifiers are very compact in size and comes with industry leading performance. 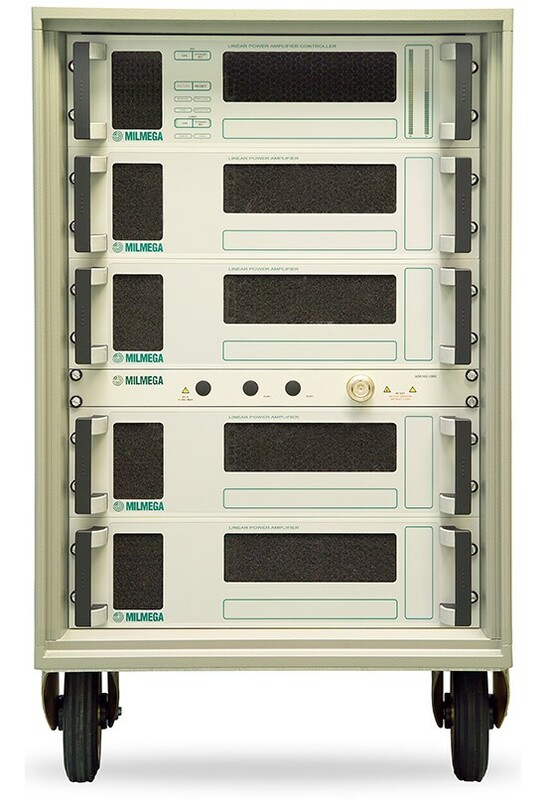 The amplifier has ability to work with any types of load which make is perfect to use with all RF EMC Immunity testing. Mostly antennas are usually well matched at higher frequencies but the EUT in the path causes enough reflection to disturb the amplifier. However Milmega’s amplifiers are designed with GaN (Gallium Nitride) which has high breakdown voltage. The GaN balanced pair design at the core of the amplifier provides high reliability and linear performance across the complete frequency range. There are various communication options to select as a standard with amplifiers either with internal RS232, USB and Ethernet or the external RS232 and GPIB at no additional costs. The amplifiers are in modular design and power can be upgraded to 500 Watts by simply adding the modules. All amplifiers are power thru switch mode power supplies to provide high efficiency and high power factor. The units are cooled by internal fan also the temperature sensing is provided to measure the malfunction of the fans. For amplifier to put in the stand by mode, there is a provision of safety interlock connector. There are front panel indicators to show the over temperature.